The 812 AirMax will provide the highest air flow and start working at the lowest temperature so this is the ultimate choice. This can be confirmed by viewing the Performance and Efficiency graphs by clicking here. Size: Base 121x82mm (4.75 x 3.25”). Height 248mm (9.75”) excludes handle. 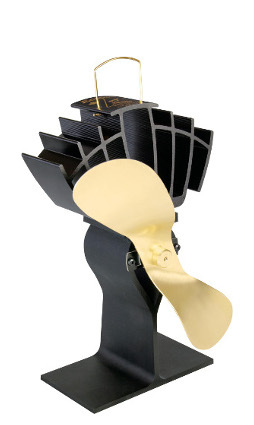 The Ecofan 812 generates up to 175 Cubic Feet (of Air) per Minute. The 812 AirMax replaced the 802 AirPlus Ecofan in October 2011. The new model offers better performance over a wider range of stove surface temperatures, delivering between 15 and 90% more air flow. The UltrAir is supplied with the reassurance of a 2 year warranty. Size: Base 121x76mm (4.75 x 3”). Height 223mm (8.75”) excluding handle. The Ecofan 810 generates up to 125 Cubic Feet (of Air) per Minute. The 810 UltrAir replaced the 800 Original Ecofan in October 2012. The new model offers better performance over a wider range of stove surface temperatures, delivering between 15 and 90% more air flow. 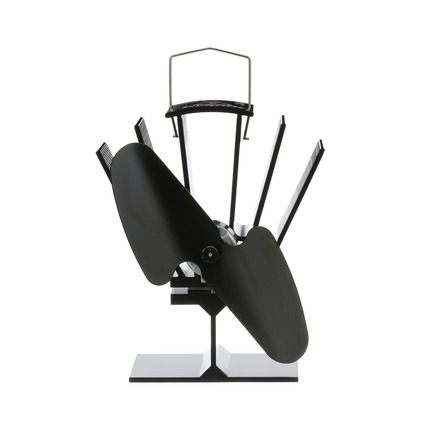 Despite being the basic model the 800 is supplied with the reassurance of a 2 year warranty. Size: Base 100x75mm (4x3”). Height 235mm (9.25”) from base to top of blade, excluding handle. The Ecofan 800 generates up to 100 Cubic Feet (of Air) per Minute. The Original 800 was replaced by the UltrAir 810 Ecofan in 2012. It was then re-introduced into the range in 2014 as an entry level unit to compete against Chinese copies of this design. The Original Mini 815 is the smallest Ecofan with an operating height of just 165mm (6.5”) making it a suitable option for limited spaces. Which Ecofan do you need? Unless space is an issue then view the Performance and Efficiency graphs by clicking here, this will give a list of benefits for the more Effective and Efficient 812 AirMax, 810 UltrAir or 800 Original models. 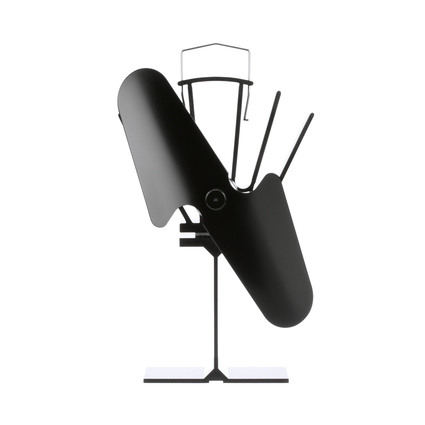 Despite being a budget model the 815 is supplied with the reassurance of a 2 year warranty. Size: Size: Base 100x75mm (4x3”). Height 165mm (6.5”) from base to top of blade, excluding handle. The Ecofan 815 generates up to 851 Cubic Feet (of Air) per Minute. 1 Results determined by CFD simulations and prototype testing, to be verified with off-tool sampling. The Original Mini 815 was introduced in 2018 to provide a genuine Caframo Ecofan solution for small spaces. 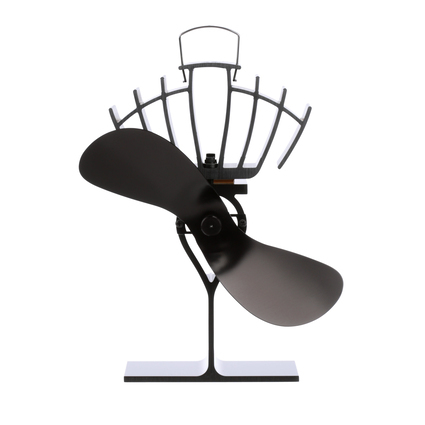 The Caframo Ecofan 812 AirMax, 810 UltrAir, 800 Original and 815 Original Mini are heat powered fans designed to circulate the warm air created by a wood-stove operating with normal surface temperatures of between 85°C and 345°C. These fans do not use batteries or mains power. 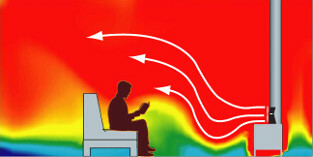 Increased Efficiency: Warm air is circulated directly into the living area rather than having most of the stove’s heat rise immediately to the ceiling, thereby increasing the heating efficiency of your stove. Fuel Savings: Testing carried out in collaboration with a leading Canadian university has proven that using an Ecofan results in fuel savings of up to 18%. For more information click here. ‘No Fuss’ Operation: The Ecofan starts automatically and adjusts its speed with the stove temperature. As the stove heats up, the Ecofan runs faster to move more warm air into the room. As the stove burns down and cools, the Ecofan automatically shuts off. Costs Nothing to Operate: Using the heat from the stove, the Ecofan is the most economical way to effectively circulate warm air. No cables, plugs or batteries are required. 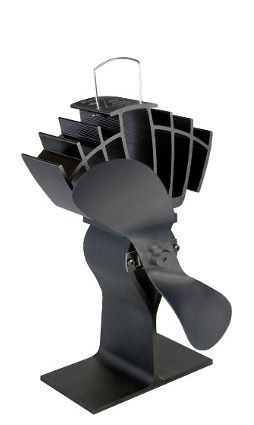 Unique Blade Design - Safe and Efficient: The unique Ecofan blade is designed to deliver a broad cross section of gentle warm air movement to avoid uncomfortable drafts. The blade is our most efficient blade yet, moving more air at a wider range of stove temperatures. Complies with IEC 60335-2-80 safety standards. Placement of your Ecofan on your stove top is critical. 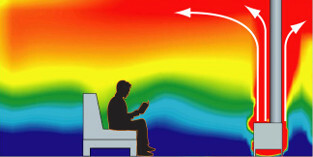 Be sure to position the Ecofan on the stove so that cool air will be drawn over the ‘cooling fins’. 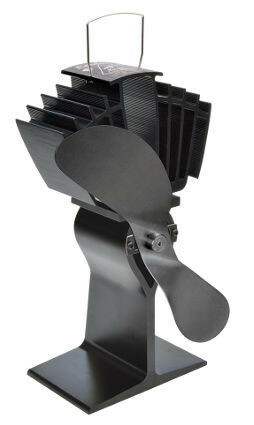 The Ecofan should not be used directly in front of the stovepipe or at the front of the stove. 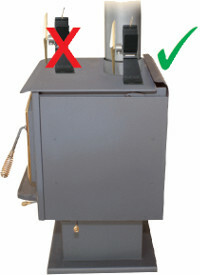 Place the Ecofan at the back edge of the stove as shown in the diagram. Should the gap between the rear of your stove and the wall be less than 150mm (6”) then move your Ecofan forward, along the side of your stove and turn it in slightly. 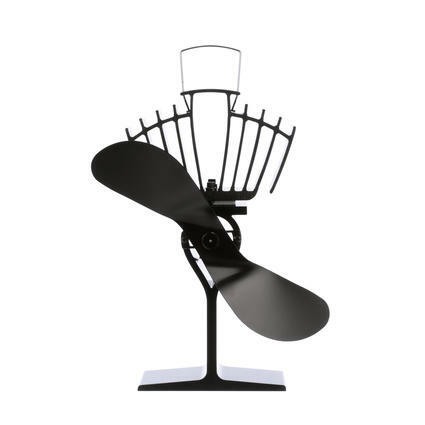 This should ensure your fan can draw the necessary cooler air from the rear/side of your stove. 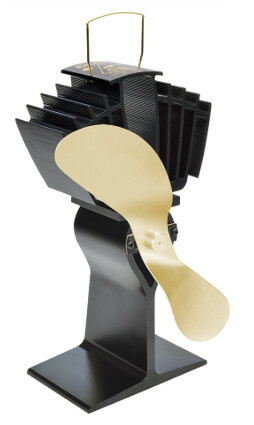 For technical information on how Ecofans work click here.